Betsy Kachel is an experienced educator who has taught for over fifteen years in public, private and religious schools. For the past seven years, Betsy has been a grade one teacher in the Religious School and is currently a lead teacher in the Preschool at Temple Emanuel. Betsy earned her B.A. in sociology at Muhlenberg College and holds a Master of Education degree from Lesley University. Betsy has a long history in the reform movement. She grew up in Needham, Massachusetts where her family continues to be actively involved at Temple Beth Shalom. Betsy’s journey as an educator began as a teen when she worked as a helper for a monthly Holiday Happenings program at TBS. She was an active member of the youth group, where she served on the board and participated in regional NFTY events. Betsy spent twelve summers (as a camper, counselor and ultimately unit head) at Camp Eisner, the Reform Jewish overnight camp in Great Barrington where she met her husband, Eric. The Kachels live in Andover with their three daughters, all of whom are happily enrolled in the Religious School at Temple Emanuel. Judy Matulsky was born in Methuen and grew up in Andover. She and her family were active members of Temple Emanuel. After graduating from Andover High School, Judy attended Mount Ida College and earned a degree in Business. Just prior to coming “home” to Temple Emanuel, Judy worked at the Andover Historical Society as the office manager/bookkeeper. Since 1990, Judy has lived in Andover with her husband, Larry, and their children, Eric and Joshua. 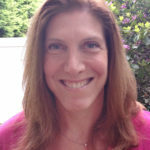 She has been very active at Temple Emanuel, including serving as Religious School Committee Co-Chairperson, the Youth Commissioner and as part of the Leadership Training Committee. Judy has worked full-time at the Temple since 2005. Lila Klaus is originally from the Washington DC area, where she spent time as a madricha for Temple Micah, as well as being active in NFTY. 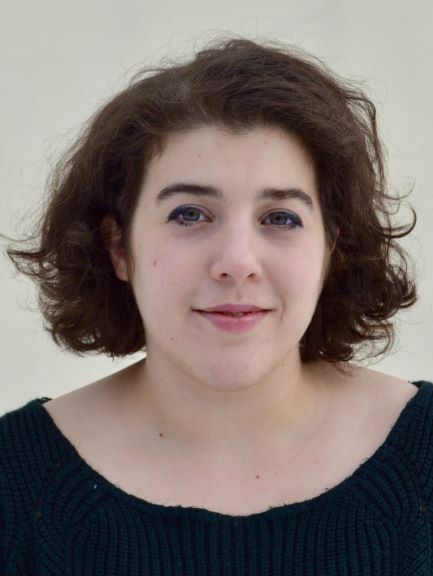 Having recently graduated from Bard College with a Bachelor of Arts in dance with a minor in theology, she is passionate about both Jewish and arts education. She has also recently worked for the new URJ Six Points Creative Arts Academy, where she was both a counselor and a unit head, as well as an assistant dance teacher. Beth Weisblatt has spent her career as an advocate for children, helping them develop self-esteem, confidence, and a love of learning. Before becoming the Director of the Preschool at Temple Emanuel, Beth enjoyed 17 years as a Lead Teacher. Beth received a B.S. degree in Nursing at Adelphi University and completed her M.S. degree in Child and Family Psychiatric Nursing at Boston University. She is certified as a Preschool Director II by Early Child and Care (EEC). Lisa Levenson has been working with preschool children for the past 16 years. In 2014, Lisa was named Assistant Director of The Preschool at Temple Emanuel. Prior to 2014, she was a lead teacher for the Bluebird, Redbird and Yellowbird programs as well as the Four Plus more and Three Plus More programs. Her love for children and passion for teaching dates back to 1979 when she received her B.S. degree in Elementary Education from Lesley University. Lisa has also taken graduate courses from the University of Pennsylvania and Lesley University Business Program. Janice is originally from Somerville and she attended schools in North Cambridge and Boston. More than 30 years ago, she and her husband, Rick, moved to Andover. Prior to working at Temple Emanuel, Janice worked at The Gillette Company in Boston. She took time off to raise her two children, Stephen and Samantha. Janice has been an integral part of both the Preschool and Religious School for the past 20 years.